For over a century, the beautiful tree shaded community once known as “Mayfield Heights” has stood as a fine example of an early twentieth century American suburban development. 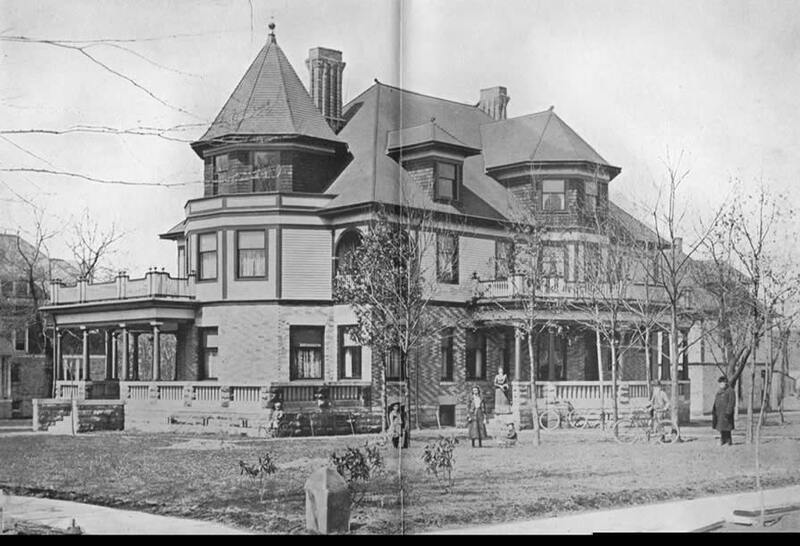 No, we’re not speaking of the suburb that is located way out on Mayfield Road with the same name, but rather the original Mayfield Heights that is one of the oldest residential sections of historic Cleveland Heights. The neighborhood, initially a part of East Cleveland Township, was envisioned by real estate attorney, developer, and philanthropist Marcus M. Brown (M.M. Brown). Mr. Brown and his wife, Jeannette, emigrated from Chicago to rural East Cleveland Township in 1896. While Mr. Brown, a self-made man, had a successful real estate and legal career in Chicago, he and his wife moved to Cleveland to seek a less stressful lifestyle. He sought a new life that would be beneficial for his health and allow him more leisure time for literary and philosophical pursuits. residents were advised to take the Euclid Heights car to Coventry Road and walk one block up Euclid Heights Boulevard to the Mayfield Heights sales office. Unlike Euclid Heights and many of the other early Heights developments that were designed to attract a well-to-do constituency, Mayfield Heights was originally envisioned to appeal to the middle and professional classes. While some rather imposing dwellings were developed in the Mayfield Heights Allotment by Mr. Brown prior to 1900 (including a splendid new estate for himself and his family on Euclid Heights Boulevard at Wilton Road), later residences were relatively modest builder-designed homes nestled on smaller lots. M.M. Brown created a network of fine brick streets for Mayfield Heights with such names as Center Avenue (Hampshire), Preyer Avenue (Somerton), Florence Avenue (Radnor), Hurst Avenue (Middlehurst), Monroe Avenue (Wilton), and Cadwell Avenue. Interestingly, Monroe was M.M. Brown’s middle name and Cadwell was the maiden name of his wife, Jeanette. Also of interest is that today’s Preyer Avenue was originally known as Alvin Road and was once owned by the Preyer family. M.M. Brown fully believed in the future of Mayfield Heights and put every thing he had on the line for the community, however after the turn of the century, sales began to wane and then the nationwide economic calamity known as the “Panic of 1907” struck. Consumer interest in real estate all but dried up and in 1908, the Cleveland Trust Company foreclosed upon M.M. Brown and his Mayfield Heights Realty Company. The bank took ownership of the Allotment at Sheriff Sale. 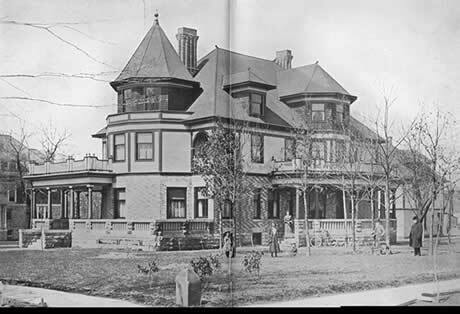 MM Brown’s house, c. 1900, still standing at the corner of Wilton Rd. and Euclid Heights Blvd. Subsequent to the takeover, the legendary A.B. 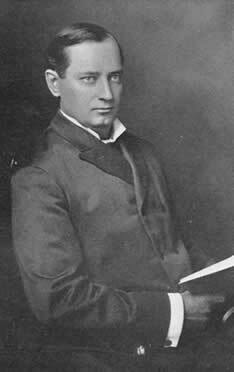 Smythe, founder of the Smythe, Cramer Company, was hired by the bank to sell Mayfield Heights homes and lots. Cleveland Trust began to aggressively market Mayfield Height. Soon large newspaper advertisements proclaimed Mayfield Heights as “Country Life in Cleveland” and “Real Homes for Real People.” Cleveland Trust stressed the affordability of home ownership and its advantages to Cleveland’s growing middle class who desired to leave the increasingly crowded and polluted industrial city. In order to further advance the idea of “Country Life,” Cleveland Trust changed the street names that M.M. Brown established to the English monikers we are familiar with today. Homes were sold for the advertised deal of “$500 down, the rest same as rent” until all the lots were gone. The spirit of M.M. Brown’s Mayfield Heights lives on to this day. The neighborhood’s solid American Foursquare, Arts and Crafts, Craftsman, Bungalow, Colonial, and Queen Anne homes have been preserved and are mostly faithful to the styles in which they were originally built. The community prides itself as a traditional neighborhood of attractive homes and gardens in a friendly pedestrian-friendly environment. Editor’s note: Mr. Owen has initiated “The Mayfield Heights Allotment Research Project of Historic Cleveland Heights” which includes an eventual nomination of the vintage neighborhood to the National Register of Historic Places. He and his wife, Dumont, live in old Mayfield Heights and are currently restoring their home that was built by the Cleveland Trust Company in 1913.